Atari has announced that it will be showing off prototypes of its all new Atari VCS, Classic Joystick, and Modern Controller at GDC 2018 on 21st and 22nd March 2018. In a press release sent to HEXUS, Atari said that it intends to “change the way you interact with your TV, just as the original Atari 2600 Video Computer System first did more than 40 years ago”. If you follow the Atari name you will have probably been waiting for further developments regarding the Ataribox. Today we don’t have a great deal more information as Atari seem determined to drip out the information in mere millilitres. Most of the release talks about the iconic Atari brand, and industrial design reflected in the machine. 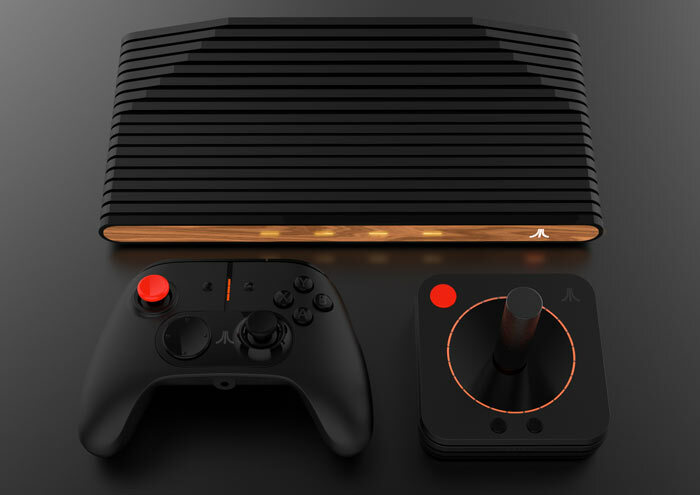 As you can see in the images throughout this article the new Atari VCS looks pretty similar to the old 2600 in design, as does the Classic Joystick. However the Modern Controller does indeed, aptly, embrace modern games controller design. Viewings of the Atari VCS, Classic Joystick, and Modern Controller prototypes at GDC will be by pre-scheduled appointments, so rather limited. Pre-order dates will also be revealed, with April pencilled in. Hopefully that means people will be fully aware of the hardware/software combo that is at the core of Atari’s new proposition. That way they can properly have an idea of its capabilities and attractiveness compared to contemporary alternatives. 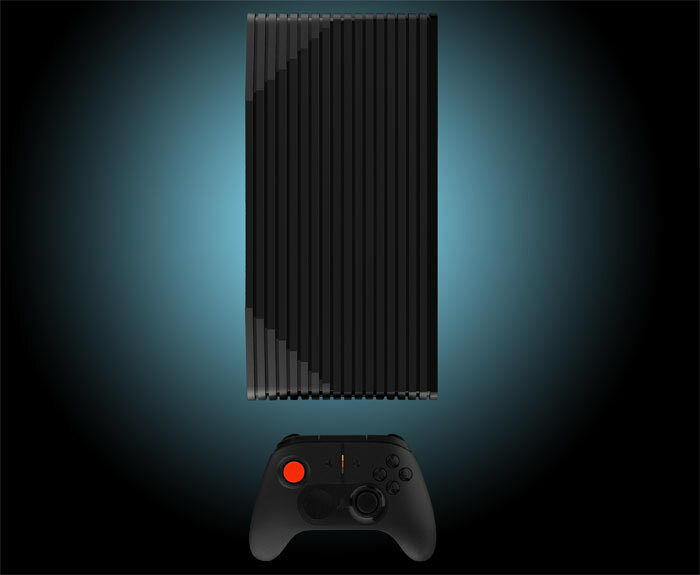 In an earlier news piece, based upon a VentureBeat interview, we heard that the Ataribox, and now therefore the Atari VCS, will be based upon a custom AMD processor with Radeon graphics. In terms of performance the machine was said to be on a par with a mid-range PC commonly available today. The OS will be Linux based with an easy TV mode for gaming, streaming and browsing. Pricing of $250 to $300 was signalled. In other Atari news today, a trailer for the upcoming Tempest 4000 game has been released. The Jeff Minter programmed title will release this spring and looks to be one of the launch titles on Atari VCS, as well as being available on PCs (Steam) and PS4. I just get the feeling this is essentially going to be similar to a steam box but with some differences in OS, and we all know how the steam box idea went… Maybe they can use the Atari name to get some sales but I am not convinced that this is going to be very popular at all, the market is too saturated and you could just build a mid ranged PC with your preferred full fat OS instead, probably for a similar price/performance ratio too, or at least only for a little bit more. Wonder if Tempest 4000 is as good as Polybius? Played this recently at a show on Jeff Minter's stand. Quite an experience! This whole thing has been so protracted that I've lost all interest now. Agree with that. It's going to be a flop, just like the majority of Atari's releases in the last few years! Yep agreed, not even a mention of developers who may be onboard with the system.